On paper, networking is as simple as can be. Just show up, be nice and exchange business cards, right? But where does that actually leave you? Meeting that CEO for coffee or attending the latest networking event is great, but the key to making strong connections is follow-up, which is easier said than done. High profile professionals are busy people and one conversation doesn’t mean that you’re friends, so it’s up to you to initiate the next steps. Sagar Sheth, director in the Global Markets Group for Deustche Bank at Chicago, is all about making connections and has a few tips for those trying to break in and leave their mark in the corporate sphere. MDPR: Can you explain how networking might lead to success? Sagar Sheth: Keeping in mind that people’s definition of success can be different, I think the thing to focus on is how to monetize your network. More specifically, how can you use your network to create opportunity, whether it’s jobs, social activities or philanthropy. Networking has been especially important over the past few years simply because social media and technology have made it so easy to do so. LinkedIn, Facebook, etc. are all effective ways to network. I think to ignore networking as a routine is doing you an injustice. The “who you know” factor can actually end up being one of the most important criteria. Recommendations, referrals and references can be extremely valuable. For what it’s worth, every single position I’ve had since 2006 was due to someone in my network. Not once did I formally apply for the job. MDPR: While we all know that networking is effective, it can be a daunting task. What are some tips young professionals can use to make quality connections without stepping too far out of their comfort zone? Be personable. This is probably the most important aspect of networking. Put the networking term aside. At the end of the day, you are just having a conversation with someone. Place yourself in their shoes. Listen. The conversation is not all about you. Let the person tell you their story, ask questions, and give them a chance to really talk. In many cases, set an agenda. I can’t tell you the number of times I’ve met with a student or a young professional for coffee, and they have no idea what they want to discuss. People are busy. If you are meeting someone for 30 minutes, create a quick and simple agenda of what you want to accomplish during that time period. This can be an incredibly effective tool. Do not dismiss anyone. You never know where a synergy might exist. Offer introductions to other people. This is something a lot of people forget about. The best networkers are always thinking of ways to get people plugged in and connected. This is how opportunity is created. MDPR: What types of questions should you ask at a networking event? Do you have any examples? Sagar: I wouldn't recommend for someone to literally keep a list of questions in the palm of their hand, but I think what’s most important here is try to get to know people. One should ask questions that open up discussion, anything from jobs, family, hobbies, etc. 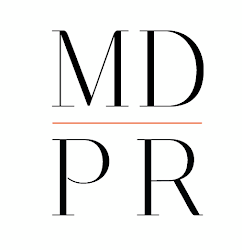 MDPR: How can you measure success from a networking event? Is it the number of people you talk to or the quality of the conversations that you have? Sagar: There shouldn't be a quantitative metric on networking, especially right after an event. That is because you don’t know what an introduction might lead too, and it might take months or years before something comes to light. But to me, a successful networking event is measured by one question: Did I meet someone interesting? If you are willing to follow up with any individual post an introduction, I think it’s a success. MDPR: How can you follow up after meeting someone to form a relationship and make other connections? Schedule a follow-up lunch or drinks. Both are casual, yet personal. If the opportunity exists, make an effective introduction to one more person where there might be a synergy. This shows that you are strategically thinking about the person, and you are willing to offer a resource that could be valuable to them. Networking certainly takes us out of our comfort zone, but there's no time like the present to begin!